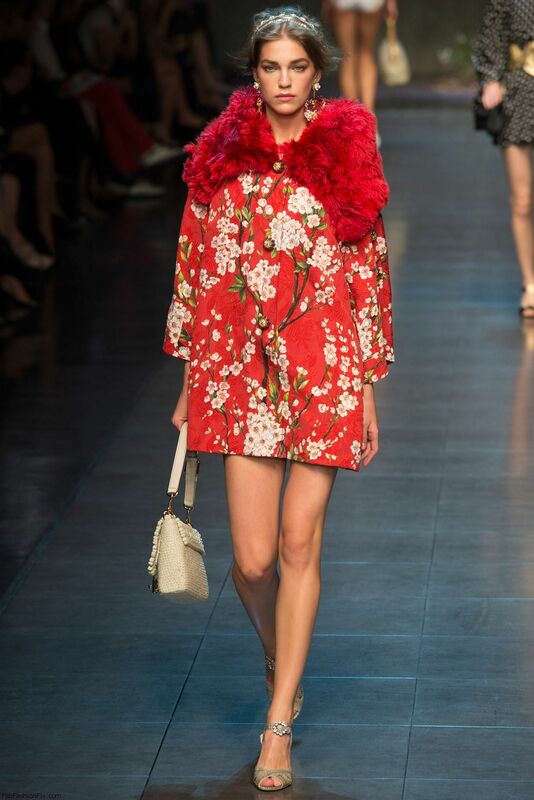 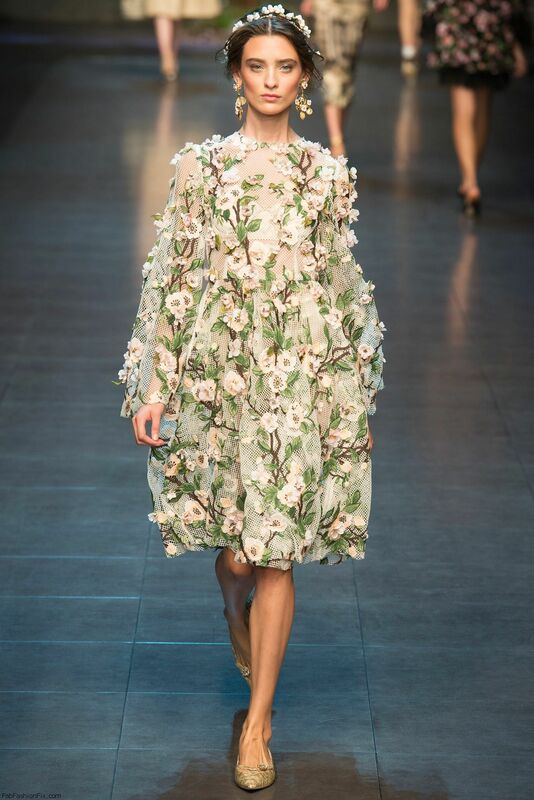 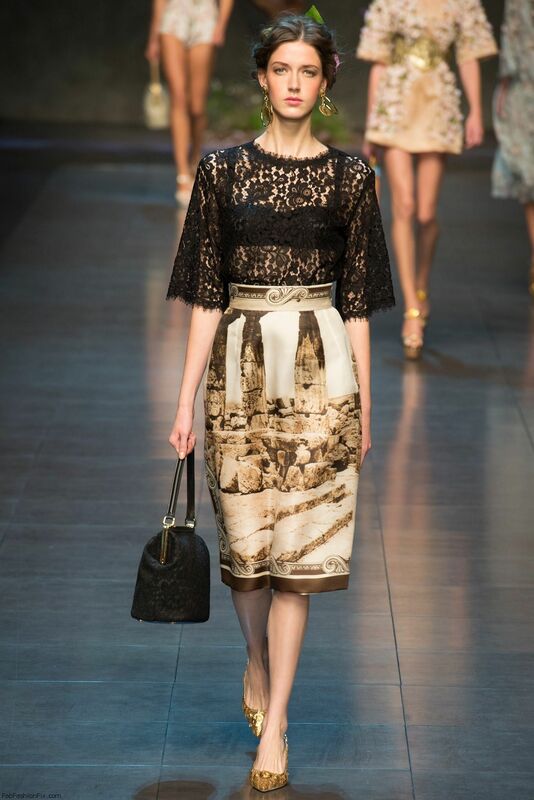 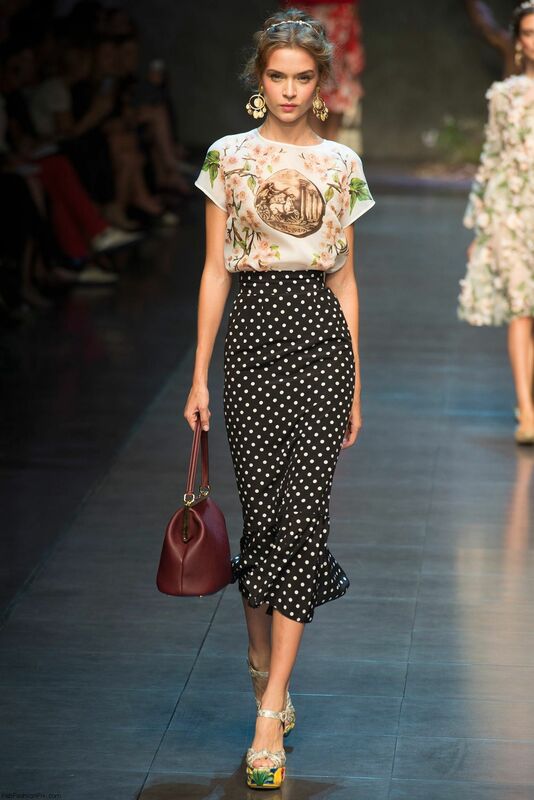 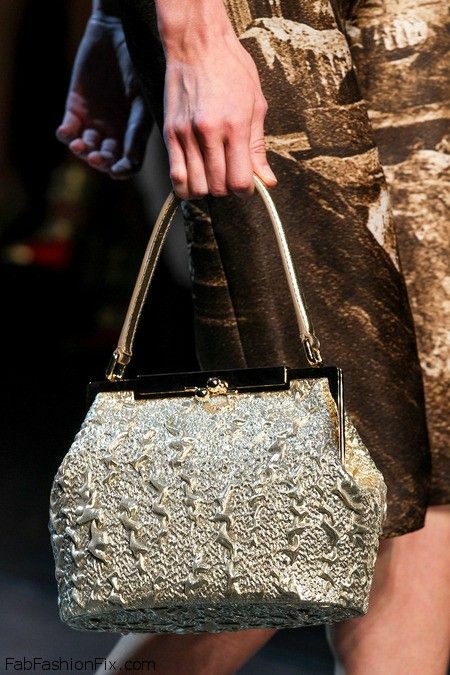 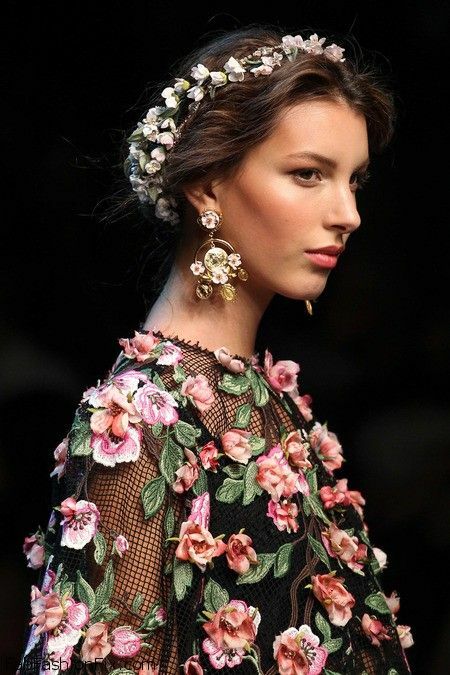 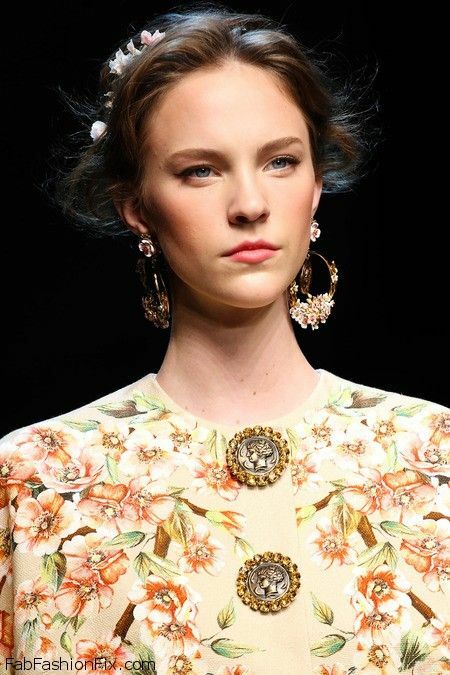 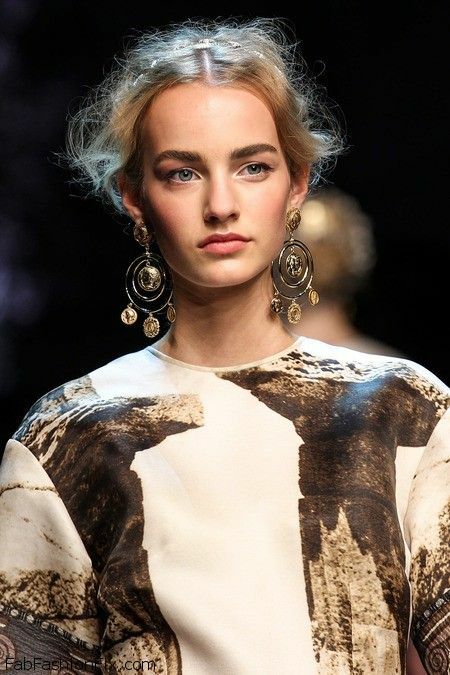 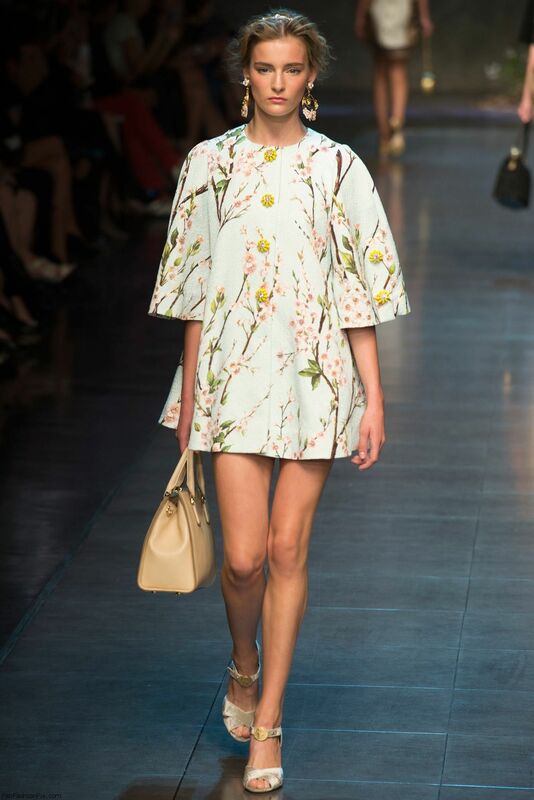 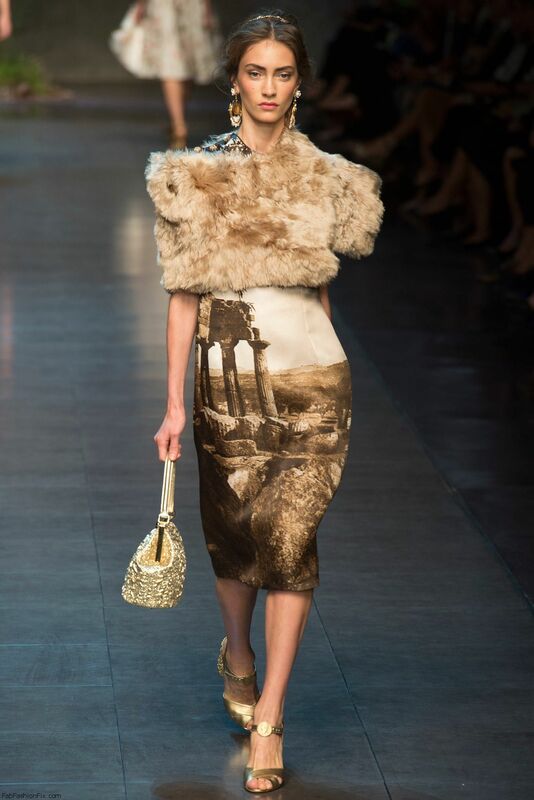 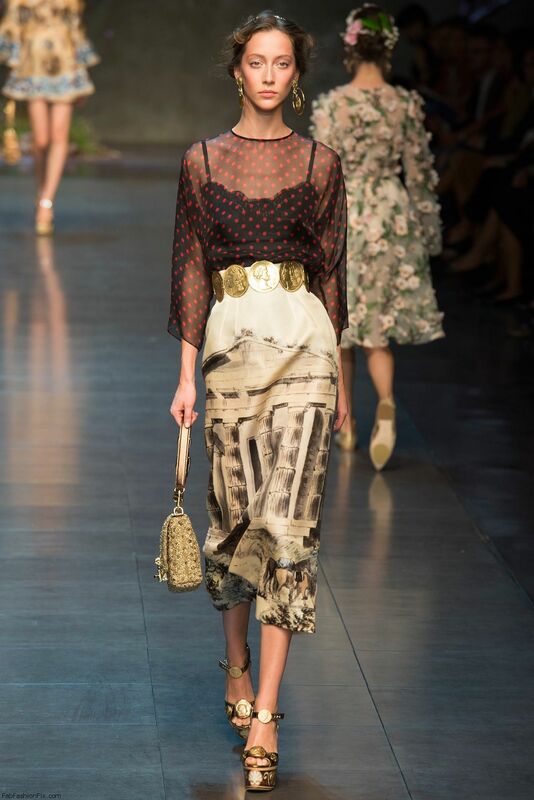 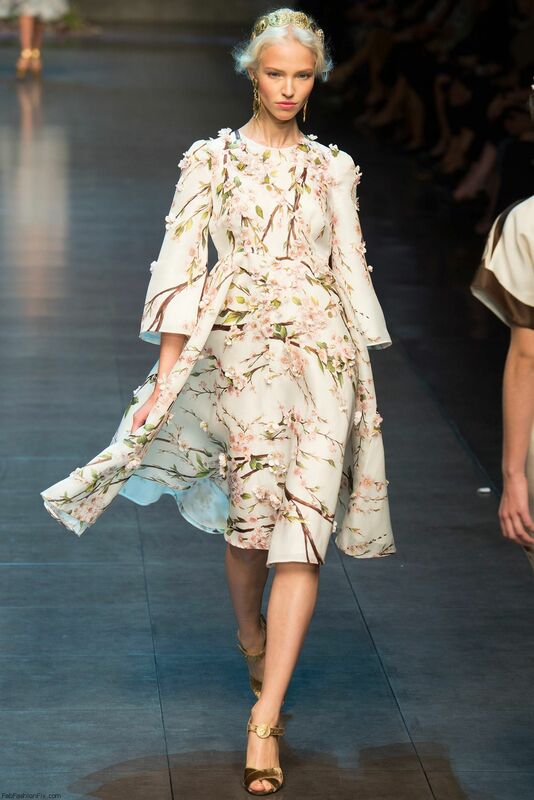 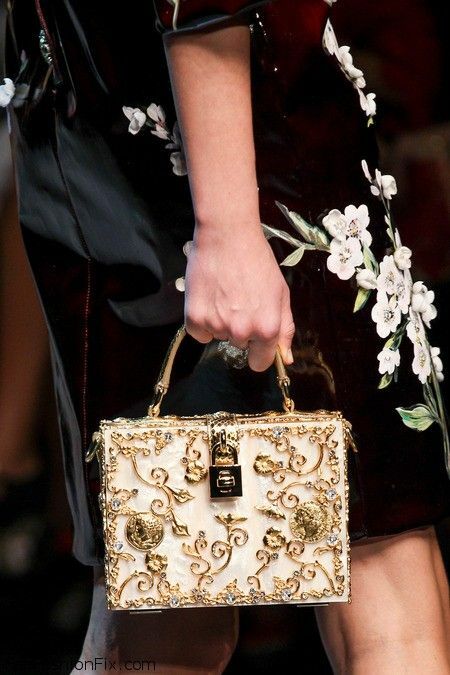 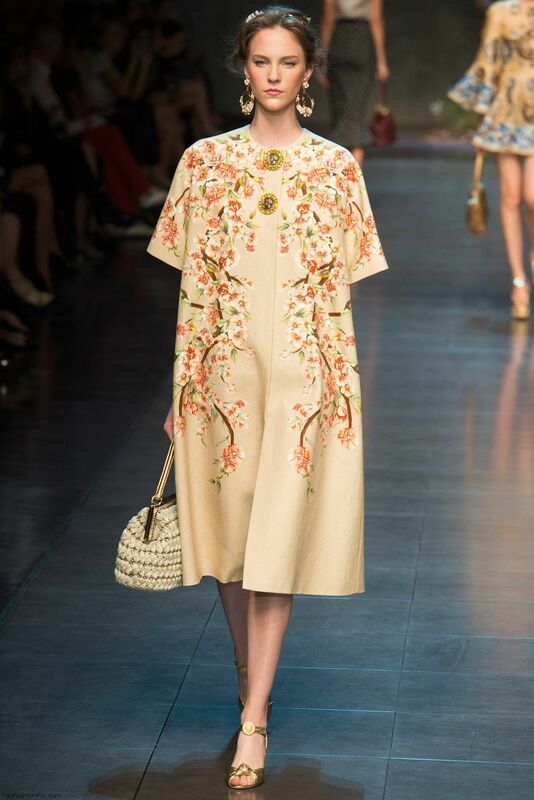 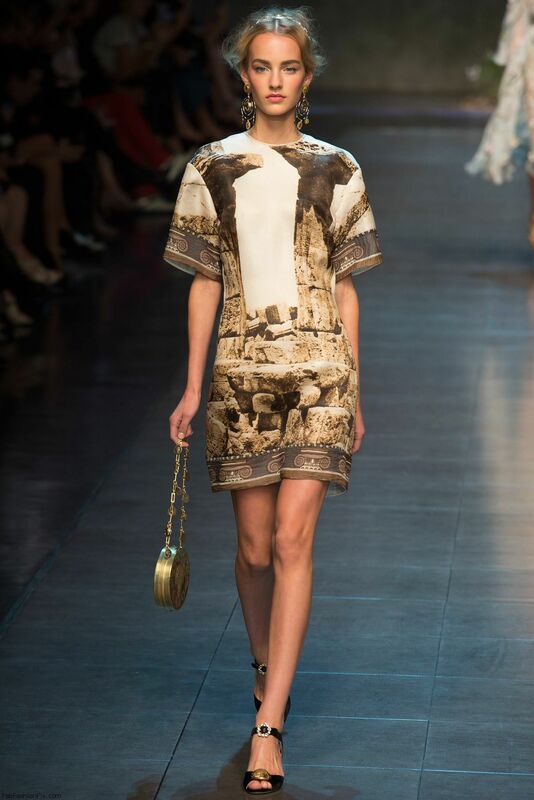 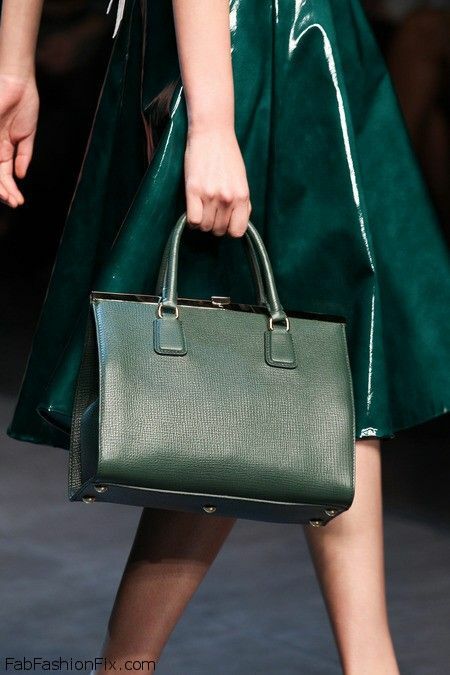 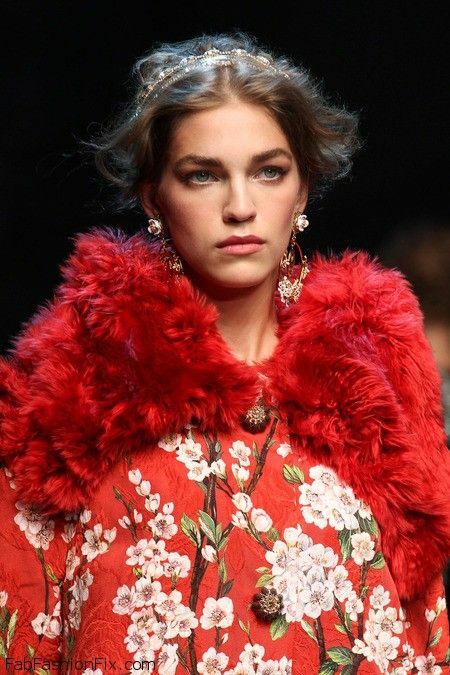 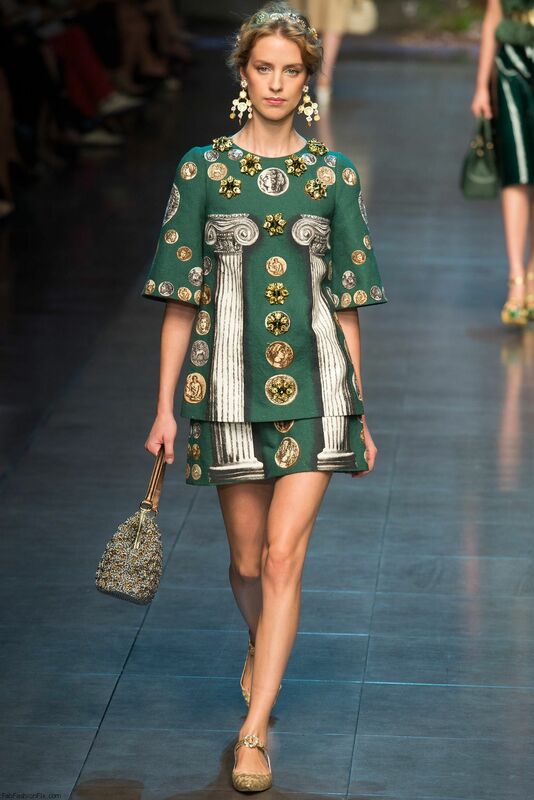 Italian fashion house Dolce & Gabbana presented their spring/summer 2014 collection at Milan Fashion Week spring 2014. 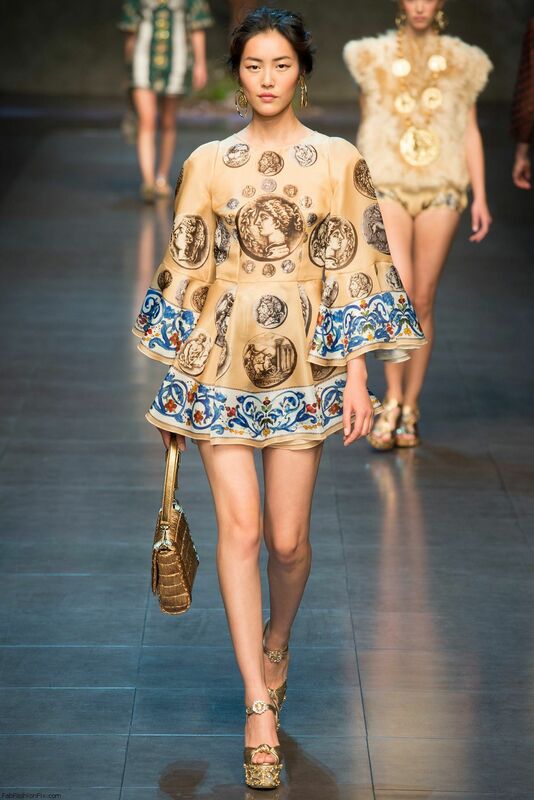 Once again the dynamic Dolce&Gabbana duo was inspired with part of the Italian history, more accurate they were inspired with Sicilian culture but this time there was also the revival of ancient Greek culture and style. 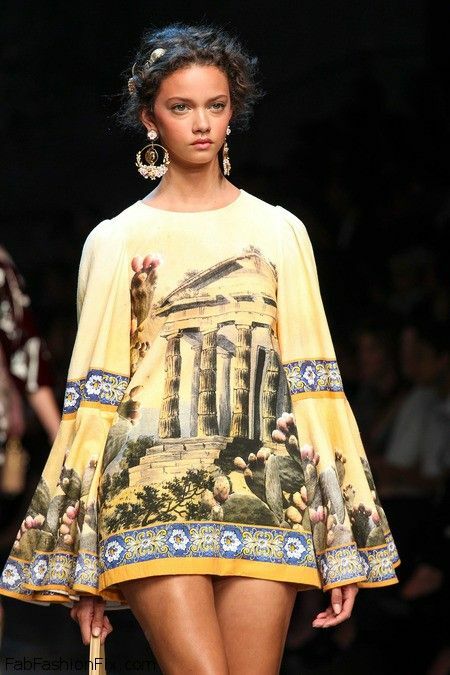 The ancient temples and theatres are transposed into surreal visions that continue to nourish the eyes and soul of the traveler and provide images for dreams. 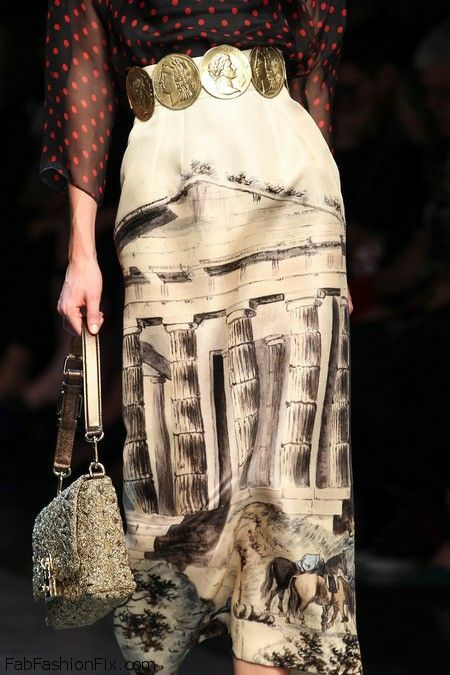 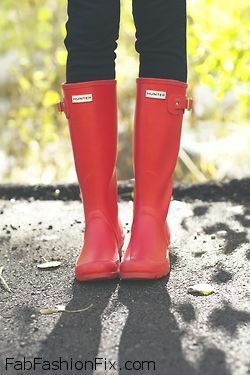 The unforeseen is interlaced with spontaneity, creativity with the absurd, and dreams with reality. 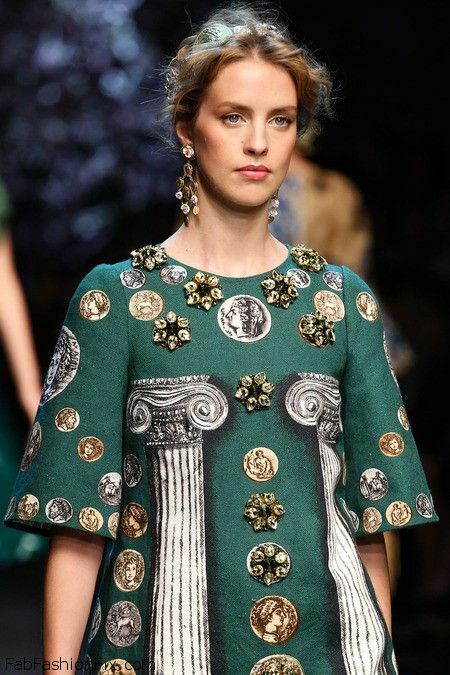 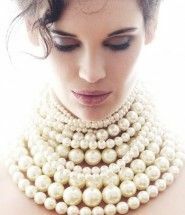 The beauty included curly hair easily pinned with brooches or headbands which was inspired by the images of ancient Greek statues of women. 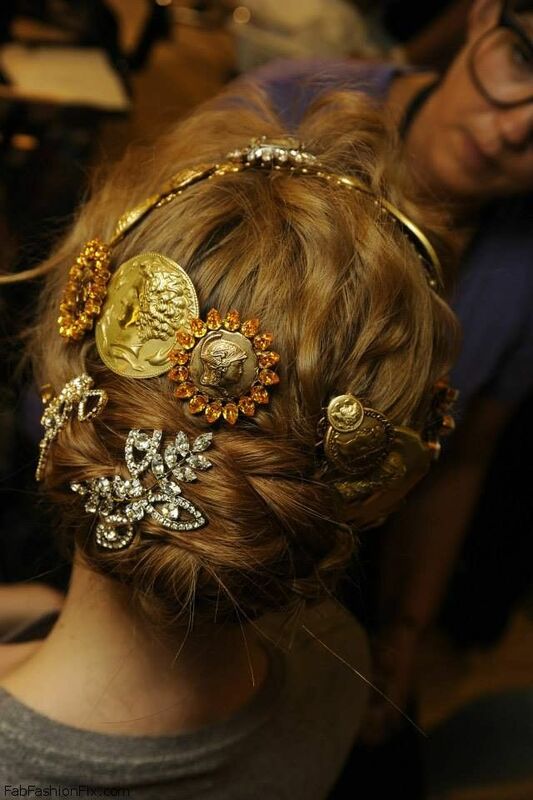 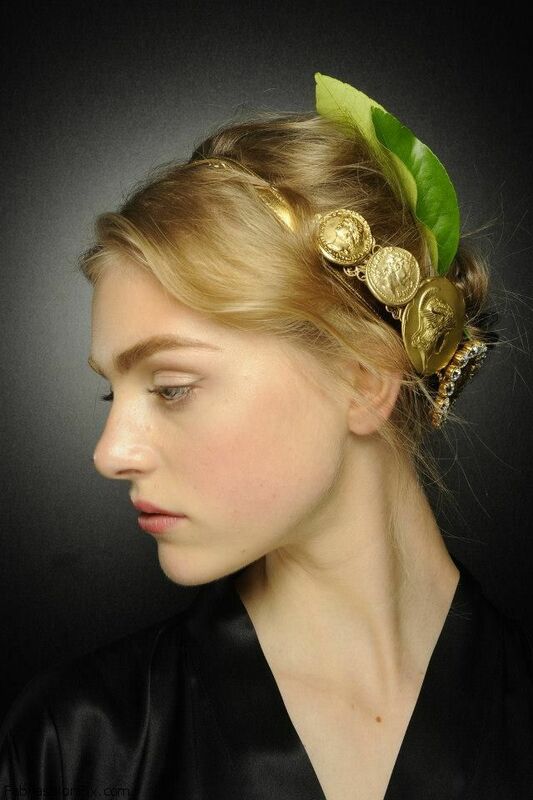 The headbands were inspired by ancient coins and almond tree flowers.